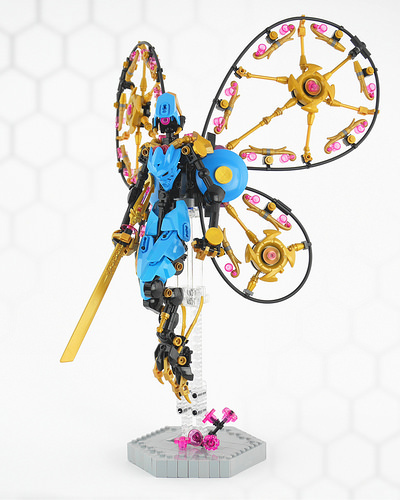 Who said mechs can’t be elegant and graceful and killing at the same time? I bet this wonderfully looking build by Anthony Wilson can teach many other ugly gray machines a lesson of elegance and charm – while hitting its enemies as efficiently as a dozen of barrel guns can do. Make sure to take a closer look at the wings; they might look simple, but their design is a very smart combination of bars and cones in pearl gold. And have you noticed nearly 30 pink minifigure cups used for decorating of the wings?